Jane Frances de Chantal and Francis de Sales. Jane Frances de Chantal born in Dijon in 1572 lost her mother when only eighteen months old. Her father Benigne Fremyot, president of the local parliament was left with three children to raise, Jane, her elder sister Margaret and the baby boy, Andre. Benigne was a kind and wise father who gave all the children a good and varied education. He was also a devout Catholic and so his children were given a sound foundation in the Faith. When Jane was twenty her father arranged a marriage with the young baron, Christopher de Rabutin-Chantal, the son of a friend. As her husband spent most of his time at Court in the service of the king, Jane not only cared for their children but also managed their estate at Bourbilly. Daily life began with an early Mass so that all members of the household could attend. She also found time to care for the poor, and had a soup kitchen set up for the needy. As she often said, "Who was she to turn away God's creatures?" She and her maids would also visit the sick and wash and care for them. Their happy marriage lasted only nine years as Christopher was shot during a deer hunt, and lay dying for a week before he finally departed this life in 1601. Jane was grief stricken and understandably she felt very much alone after her husband died whom she adored. 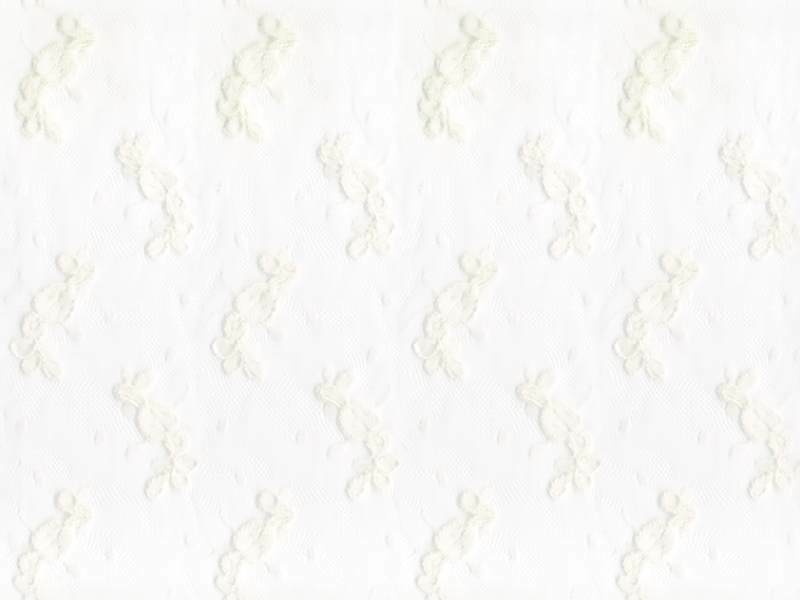 In her grief she would go our riding. On one occasion she had a vision of a priest. As she beheld him, a voice murmured, "This is the man beloved of God and among men into whose hands you are to commit your conscience." In her bereavement she took the vow of chastity and tried to find a direction for her life. She sought out spiritual help and read the life of St. Elizabeth of Hungary who had been in a similar position after her husband Louis IV died from the plague when on Crusade with Frederick II in 1227 after a short marriage of bliss. Although left with three children, she refused remarriage and became a Franciscan tertiary. From henceforth she lived a life of poverty and caring for all in need around her in her short life. As Jane endeavoured to work out a life for the children and herself she found herself at the mercy of her tyrannical and grieving father-in-law who threatened to disinherit her if she did not obey all his directions. He demanded that she and her children come to live at his estate at Monthelon. In the interests of her children Jane submitted to this demand, and was able to turn this unhappy period of her life into a means of growth in her Christian life. Not only did she succeed in bringing order out of domestic chaos, but did so in spite of the hindrances of a disagreeable housekeeper who resented her presence and who used her influence with the old baron to make life as difficult as possible for Jane. At the same time Jane continued to carry on her works for the poor and sick, and undertook the care and education of the housekeeper's children along with her own. Here too she had Mass said daily, and even put grills in the floor of the attic so that the lepers she had taken in could hear Mass. In 1604 her father invited her to return to Dijon for the Lenten sermons. Those sermons were to be given by the young bishop of Annecy (Geneva) He had been born in the Savoy region of France in 1567 and was educated by the Jesuits in Paris, and Padua. Like the founder of the Jesuits, Ignatius of Loyola and Luther not long before, he also faced spiritual dilemmas, but his resolution was a little different from theirs: to love God and enjoy Him forever. He saw the Passion and death of Christ as the ultimate expression of love for us by God. Hence Francis was directed for the rest of his life by the knowledge that God loves us and we must respond to that love by the way we love our neighbours. At that first Mass in Dijon, Francis was deacon. But when he stepped in the pulpit to preach Jane recognised him as the priest she had seen in her vision. Francis had also had a vision of Jane and afterwards asked her brother Andre who was now a priest who she was. Andre arranged for them to meet, during which Jane sought a meeting with Francis to speak about her spiritual life. This meeting began a long spiritual friendship of nearly twenty years before the beloved bishop's death in 1622. Francis became her spiritual director, and under his sensitive and wise direction he enabled her to find a purpose for her life that gradually put her own difficulties into perspective. For the next few years she worked towards making herself free enough of her motherly responsibilities in order to dedicate her life more completely to God, and at the same time being guided by Francis. At that initial meeting Jane told Francis that she was going to make a pilgrimage to the shrine of St. Claude in the near future to which the young bishop replied that he was taking his mother to St. Claude too. So they planned to meet again. Meanwhile he encouraged her to write to him. As Francis left for Annecy, he sent her a short note of encouragement: "I think that God gave me to you; every hour makes me more sure of it; that is all I can say. Commend me to your guardian angel." The next year in 1605, Jane visited Francis, staying with his mother at Thorens. Here they had time to walk together and as they did they talked about the spiritual life. She sought the life of a nun; he announced that she was not ready, but rather to take home with her the model of the Blessed Mother and St. Monica. Francis' sister Jeanne also accompanied her back as she was to be educated in Burgundy. In 1607 Jane went to Annecy to meet once again with the bishop who revealed his plan for a religious community. In that same year Jeanne died and Jane was mortified. 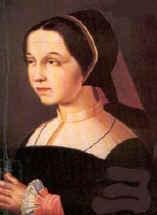 Shortly afterwards Jane's youngest daughter, Marie-Aimee, aged nine was betrothed to Francis' youngest brother, Bernard. Before the marriage in three months time, Jane plucked up the courage to tell her father of her decision to take the veil. He was aghast to think she would leave not only her aged father but also the children. After the wedding Francis spoke to him and outlined what kind of order he had in mind. It certainly would not cloister Jane so that she could visit her family. Nevertheless the parting was cruel for the children and her father. The friendship of Francis and Jane gave to the Church what is known to-day as Salesian Spirituality. Together they founded in 1610 the Order of the Visitation at Annecy (the nuns of this Visitation Order took as their example the Visitation made by Mary when she traversed the Judaean hills to her elderly cousin, Elizabeth and stayed with her for six months.) This order was formed for the specific purpose to enable women of delicate health to live the religious life and to work outside the cloister. At their inauguration Jane was superior to about twelve nuns. Francis had found a small house on the edge of Lake Geneve for this small community. Thus on Trinity Sunday, June 6 (the feast of St. Claude), Jane and her twelve companions supped at the bishop's house. Afterwards in the chapel, the bishop gave Jane a summary of the rule and constitution he had written for the new congregation, which Jane in turn read to her sisters. This Order also reflected Benedict's vision of monastic life with its balance between contemplative and active life. It also had another emphasis - the centrality of the Eucharist and a minimum of weekly Communion. In 1615, the Sisters moved to a larger house nearby whilst other foundations began. To these superiors Jane wrote many letters with all kinds of practical advice. Simultaneously Francis was writing his "Treatise on the Love of God", which reflected his responses to Jane's letters. It is obvious that Jane underwent a period of spiritual dryness that seemed to have lasted for the rest of her life, even though outwardly she was sweet and calm. From this "Treatise" those early sisters as well as Jane were instructed in mystical prayer and the "ecstasy of daily work and living." When Jane was to make her retreat in 1616, she suggested to Francis that she should meditate on "detachment", for which the Bishop suggested those words from the book of Job: "Naked I came from the womb and naked I shall return. The Lord gives and the Lord takes away. Blessed be the name of the Lord." (Job 1:14). During this important retreat for Jane Francis was ill, and although daily notes passed between them, he felt Jane was now ready to depend on God only Accordingly he wrote to her, "Our Lord loves you, my dear Mother, he wants you to be all his Do not look elsewhere, let your spirit dwell in him alone not in friendship, nor in the union God gave us, nor in your children, your own soul, or anywhere else whatever, for you have given all to God. Now whatever you have to do, do it not because you want to, but only because God wills it." (Bond of Perfection, p. 70) These words were later found in her Book of Rules which she carried in her pocket. In May 1617, her son-in-law Bernard died in Turin from a fever epidemic in camp, leaving Marie-Aimee pregnant. Both mother and child died shortly afterwards, but not before Marie-Aimee took her vows as a Visitation sister. Jane Frances has lost another one of her children. Within thirty years and at the time of Jane's death, some eighty-six houses had been opened, even though Jane had to agree with this expansion to have the Visitation nuns cloistered and to follow the rule of St. Augustine. This amazing expansion owed much to the teachings and writings of Francis de Sales On the Love of God. His teaching stressed the importance of practising those Christian virtues as set down by Paul for community living, with love, gentleness and humility being especially emphasised. Jane when asked "what is the spirit of the Visitation", replied, "I have always judged it to be a spirit of deep humility before God and of great gentleness towards our neighbour." The community owed a lot to Jane's dedication and prudence. At the foundation of a Visitation House in Paris in 1619 Jane made contact with Vincent de Paul (became her spiritual director after Francis' death) who described her as "one of the holiest souls I have ever met." She stayed in Paris for three years but refused to become its superior. She appointed Vincent de Paul as Superior General. Shortly afterwards in 1622 she opened a house in her home-town, Dijon, and in the following year in Lyons. She was in nearby Greenoble when she knew in her own spirit that her beloved bishop, director and friend had departed this life. She wrote later: "I threw myself on my knees, adoring the divine providence, embracing as best I could God's holy will and with it my incomparable grief. I wept a great deal all the rest of that day but my tears were gentle and peaceful, for I was at rest in God's will and in the knowledge of my Blessed Father's glory." Francis was buried on January 23, 1623, in the chapel of the Visitation Monastery in Annecy as his will dictated. Jane burned all her letters that Francis had kept and annotated. This was her final act of detachment. During her last twenty years Jane travelled extensively throughout France and Italy, not only to open new foundations but also to consolidate the spiritual foundations of the communities. She constantly stressed those virtues of fidelity and unity. This saintly nun also collected and edited Francis' spoken and written words, whilst her brother Andre, now bishop of Bourges, was in charge of the first official commission for the cause of his canonization. In 1627, she wrote her formal deposition on the life and character of Francis de Sales, that was not only a memorial to him but also lead to his eventual canonization. Unfortunately Jane did not live to see this in 1665. By 1641 dying and death were no strangers to this holy woman. Most of her family and her beloved spiritual director had all died. So when she fell ill during a visit to the monastery of Moulins, she was ready to answer the call of the Bridegroom. On December 12, she dictated a farewell letter to all the convents and signed it with a firm hand: "Soeur Jeanne Franciose Fremyot, de la Visitation Sainte-Marie. Dieu soit beni." She asked the Sisters to stay loyal to all the founder's wishes and preserve their unity by looking toward Annecy in a spirit of concord, humility and exact observance. Unable to sleep she had a sister read accounts of St. Paula and St. Monnica's death, both of whom had died away from home, as she was also doing. The next day she asked to be anointed, spoke to each of the sisters, made a firm act of faith, and received the Viaticum. Holding a crucifix in one hand and a candle in the other, she pronounced the name of Jesus three times and died with a sigh with the sisters around her bed. The Superior at Moulins Madame de Montmorency prepared her body to be taken back to Annecy in secret, as the sisters feared France might claim her body. There in the Motherhouse Jane Frances was laid to rest in the Visitation chapel near her beloved Francis. Jane was canonized on July 16, 1767, by Pope Clement XIII. The Bull of Canonization presented Jane as an example for women of every state of life: girls, married women, widows, and religious. She is an inspiration of what God can do with a life when it is detached from all earthly dependencies. The spread of the Visitation houses owed so much to Jane's encouragement and motherly guidance that were the outward expression of her deep contemplative life. The Church thus owes much to the spiritual friendship of Jane Frances de Chantal and Francis de Sales and the product of that Salesian spirituality and of course the Order of the Visitation. The Church commemorates Jane on the 12th August and Francis on 24th January.